Located at the northern edge of Costa Rica's remote and largely unexplored Osa Peninsula, Drake Bay acts as the gateway to the unknown. With scarlet macaws flying overhead, howler monkeys traipsing through the trees, and dolphins gliding through the crystal-clear waters offshore, this is a true nature lover's paradise. Drake Bay is just about as far off the grid as one can get in Costa Rica, and only the most dedicated hikers and wildlife enthusiasts ever make it to this impressively isolated corner of the country. 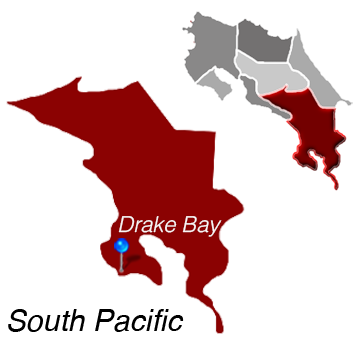 Drake Bay real estate is best for those who seek a private space far from the crowds and noises of urban living. Nearly all visitors who come to the Drake Bay area do so because of the incredible wildlife and verdant landscapes. Ocean views, mountain views, or a tantalizing combination of both is one perk nearly everyone here enjoys. Whether you're looking at modest casitas or luxury homes, being so close to virgin rainforest and pristine beaches creates a special feeling unlike anywhere else. Vacation rentals and privately owned homes ooze effortless luxury in which nature plays a starring role. The charm of Drake Bay is that it impresses without trying too hard; it is a stunning place to consider for investment in Costa Rica. 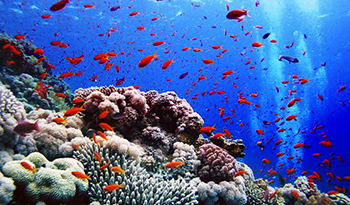 Drake Bay is Located in the South Pacific.